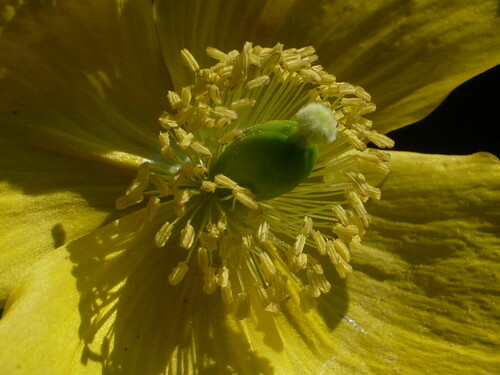 The Iceland Poppy ‘Papaver nudicaule’ is also known as the Arctic Poppy. They produce single petaled flowers with strong clear colouring. Despite the names they like normal climates but can dry up in a very hot sun. 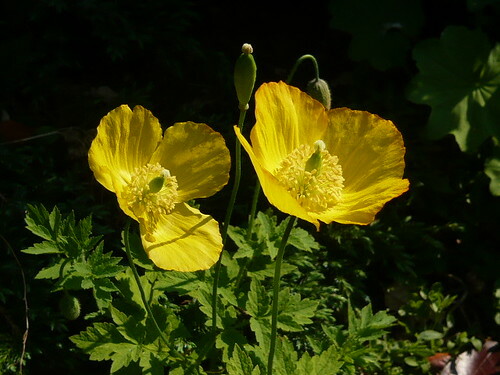 Iceland poppies are hardy, short-lived perennials generally grown as biennials. The papery, bowl-shaped, lightly fragrant flowers are supported by hairy, stems among feathery blue-green foliage. Iceland poppies grow about 12″ tall and produce a series of 3″ wide flowers from early summer. The wild species bloom in white or yellow but a colour range is available. All parts of this poppy are likely to be poisonous. Iceland poppies create exceedingly minute seeds and long taproots that resent disturbance. Sow seeds outdoors in autumn or early spring in a reasonably well-drained soil. The strongest plants are autumn-sown. 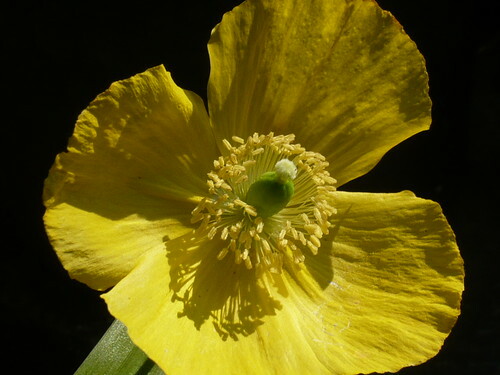 Iceland poppies can live 2-3 seasons and self sow prolifically. Iceland poppies last several days in the vase if they are cut just before the buds open and the stem-ends are seared. In my garden the self sown plants have taken on weed status. Once established they continue to thrive.